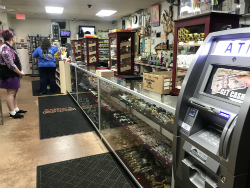 For the cheapest gas and largest selection of tobacco products on the reservation, visit No Blanket Smoke Shop. Our customers travel near and far to shop cheap and tax-free. Keep in mind we are a cash-only business, but we have an ATM inside, so you can easily take out cash. No Blanket Smoke Shop opened in 1986, and we’ve been family owned and operated. We started small and grew into much more over the years. At our store, we believe homegrown country integrity goes a long way, and we treat everyone like family. For customer service done right, visit us in Sanborn, NY. When you run out of smokes, gas, or both, visit us to get your fill before you hit the road again. 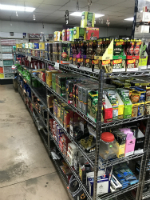 Our shelves are well stocked, so it’s easy to find the brands you love inside. 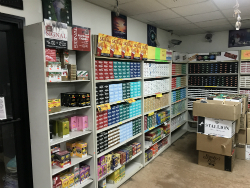 From cigarettes to Cuban cigars and cigar wraps, we have all your favorite tobacco products under one roof. Instead of searching near and far for a last-minute gift, visit the jewelry shop located right inside our smoke shop. If you find a special gift here, that’s one less stop you have to make on your way home. Jewelry is always a great gift idea, especially for birthdays, anniversaries, holidays, or just because. At Hint of the Ocean Seas, you’ll find a beautiful selection of pieces. The displays feature handcrafted & hand-knotted jewelry with natural pearls. From necklaces to bracelets and earrings, we have special pieces for everyone. If you want a gift that’s unique and beautiful, stop by today. Filling up your gas tank for less is always a plus. No Blanket Smoke Shop is the ultimate one-stop shop, and our prices are always affordable. Visit us the next time you need to fill up, stock up, or shop.